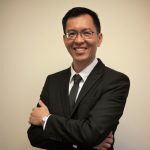 Ooi Ho Seng is a Certified Financial Planner professional (CFP CERT TM). He specializes in Estate Planning & Retirement Planning. He is affiliated with Financial Planning Association of Malaysia (FPAM), and Federation of Investment Managers Malaysia (FiMM). 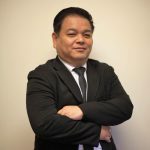 He is also a Life Planning Advisor (LPA) of Great Eastern Life and a Professional Estate Planner of Rockwills Corporation. He holds a Unit Trust Consultant & PRS Consultant license from CIMB Wealth Advisors. Since 2007, he has been passionately providing consultations to clients in areas ranging from personal estate distribution & business succession planning, to investment & life insurance planning. He strongly believes an optimum solution in financial planning is a holistic one, and everyone should have access to it. Before being a financial planning practitioner, he was a Senior Software R&D Engineer with 10 years of experience in designing complex engineering solutions. Logical and analytical skills inherited from engineering background have become great assets to him in providing comprehensive and well-thought-out solutions to meet the affluent market needs. He has developed some software tools to ease the management of clients investment portfolio, and made retirement planning tool accessible to more people through an online Retirement Fund Estimator.